Sergeant Clutch Certified Engine & Transmission Shop in San Antonio, Texas replaces any car, truck or suv alternator. You should have your automobiles entire charging system checked once a year. Signs of an alternator problem are dimming lights, dead battery and dashboard warning lights. 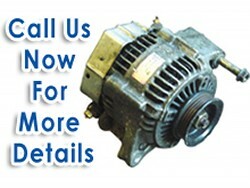 Sergeant Clutch installs new alternators & rebuilt alternators quickly and affordable. Bring your car or truck into Sergeant Clutch for a Alternator & Electrical System Check. Our auto mechanic understands your automobiles electrical system. Our automotive mechanic will inspect your alternator, battery, ignition, starter and computer system. Got Alternator Problems? Mechanic On Duty and ready to check any car or truck. Sergeant Clutch offers a Alternator Performance Check. Find out why Sergeant Clutch is highly recommend by friends and family.